Okay, but what is Plukkido? Plukkido is like a toy for children but it’s more than a toy. Plukkido is a series of motivational, educational tools designed for families with children. 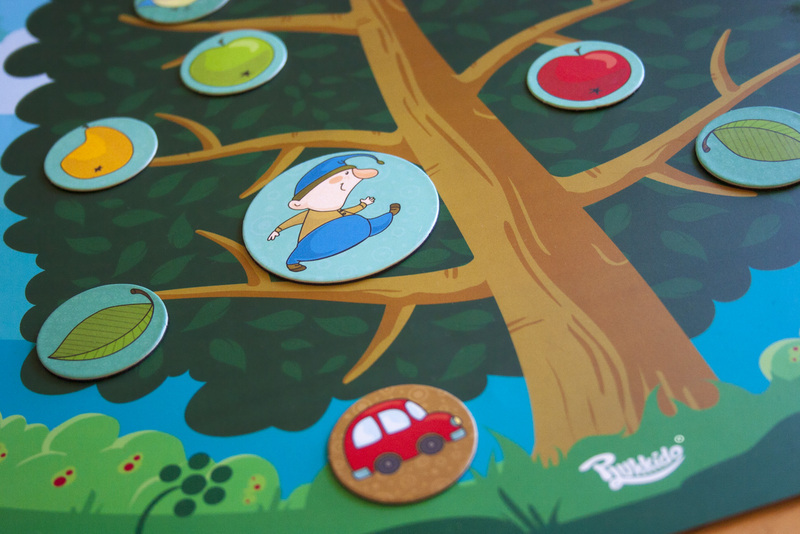 We designed Plukkido games to help parents facing challenges when bringing up a child. Taking care of the small ones, let’s be honest, is not always easy, it requires a lot of energy, patience, acceptance and attention. No surprise, that small debates, argues can interrupt the peace in the family. It’s absolutely normal. Plukkido aims to reduce the number of these interruptions by involving the children in a story-based game which is engaging for them and inspires, encourages them to behave better. Instead of answering with rejections when it parents want them to do something, to behave well, they will feel motivated. Plukkido also wants to give powerful tools to parents based on positive feedback, which also a great help for the development of a child’s self-confidence. Plukkido’s first game is Benefitto which sums up all the goals of the designers.